Breitling watches are of an elite class, best known for their superior technical details and craftsmanship—and watches of this caliber carry a hefty price tag. But, if you’re looking to expand your watch collection with a Breitling, there are a handful of affordable models for every level of collector. 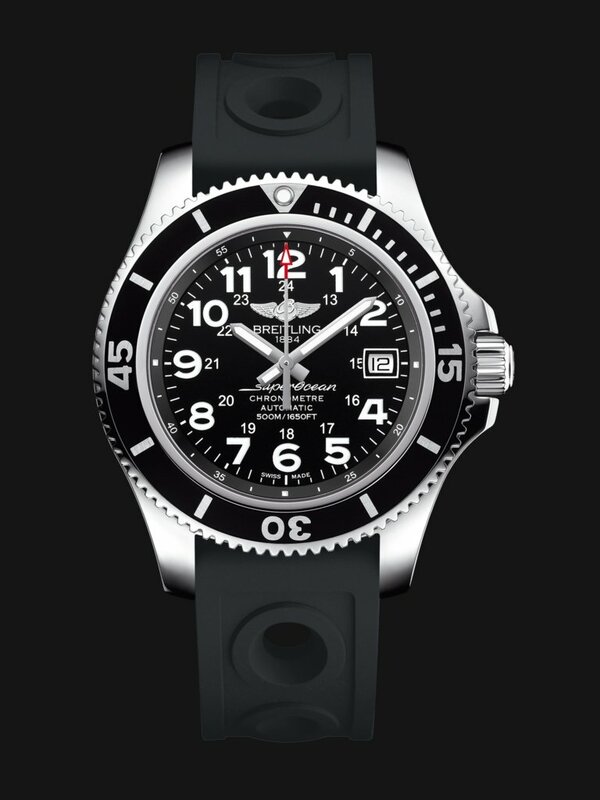 The rugged and large Breitling Colt debuted in the 1980s and was originally intended for the armed forces but grew in popularity amongst civilians as well. It’s a no-frills design that still incorporates the trademark details that make a Breitling a Breitling: a stain-brushed unidirectional rotating bezel with four rider tabs. This wallet-friendly, quintessentially Breitling watch is an ideal starter watch for any new collector or a foundational watch for any seasoned collector. The original Breitling Superocean debuted in 1957 and was a triumph for the Breitling brand: it was the aviation-minded brand’s first bold foray into the diving watch competitive market. Since then, Breitling has fine-tuned the Superocean’s original mechanics (it can now dive to depths of 1,500 meters) and refined its design for modern tastes. 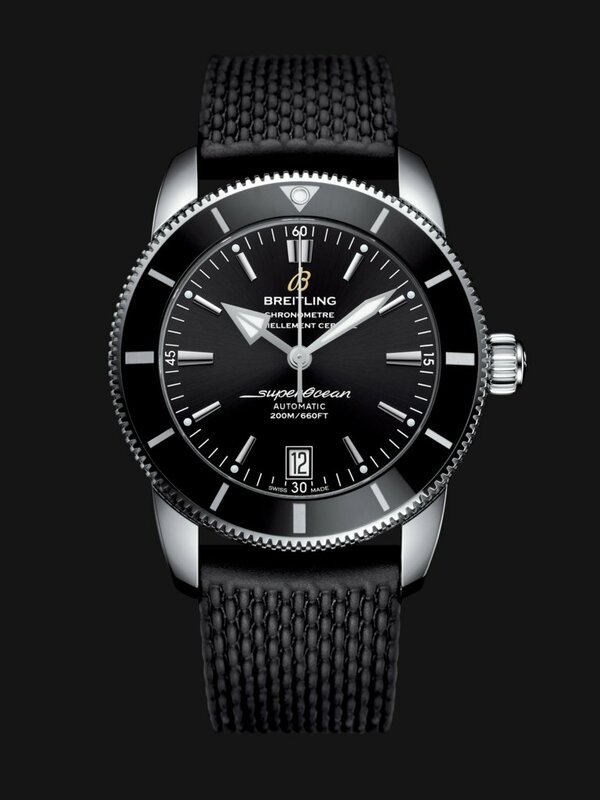 In 2015, Breitling introduced the revamped Superocean II. The updated design features an internal circle of 24-hour indexes, a thinner case, and that busy-but-legible dial that Breitling is so well-known for. 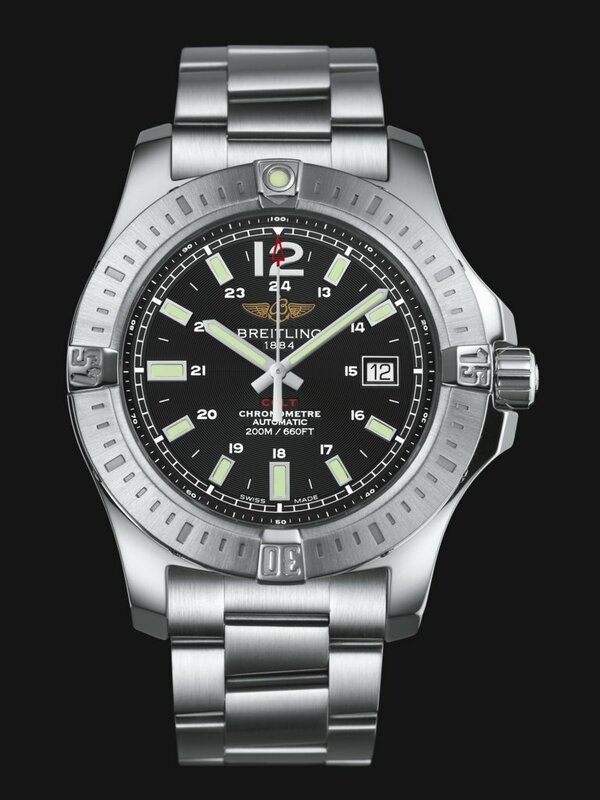 The Breitling Superocean II is available in a wide variety of sizes and color combinations. The Superocean II is a great way to buy in to the heritage of the original Superocean without spending the same amount. In step with the Breitling Superocean II, the Breitling Superocean Heritage II harkens back to the original Superocean of 1957. But the Superocean Heritage II more closely resembles the original and it takes a skilled eye to really pick out the differences at first glance: a more defined diamond-shaped minute hand, a steel partition in the head of the hour hand, and a ceramic ring around the minute track in lieu of the original steel one. This modernized watch is a smart way to invest in the vintage look and style of the Breitling Superocean, without having to invest big bucks in a true vintage Breitling. During the Quartz Crisis of the 1980s, when quartz movements largely replaced mechanical watches and caused industry-wide economic upheaval, Breitling managed to weather the downturn by using a quartz movement in their own watches, a sort of if-you-can’t-beat-‘em-join-‘em style move. In 1985, Breitling introduced the Aerospace Evo which became the de facto representative for Breitling’s SuperQuartz-powered timepieces which was 10 times more accurate than the standard quartz oscillator which, it is worth noting, was already near-perfect. 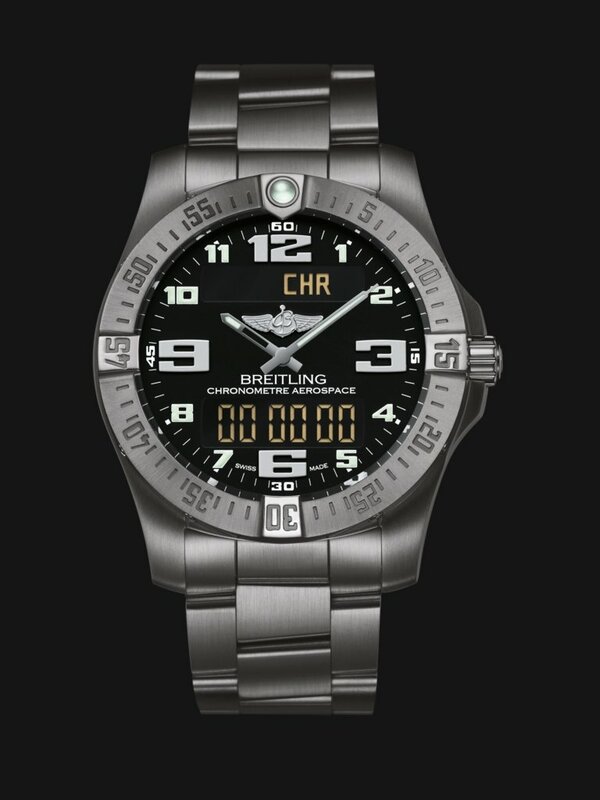 The Aerospace Evo has a unique position in the history of the Breitling brand. For modern collectors, this watch features an economically-efficient movement, under the illustrious Breitling brand name. The 2013 Avenger II GMT is an incredibly practical watch. It features an easy-to-read 24-hour second time zone display, a bidirectional rotating bezel, and its ultra-sturdy case is water-resistant up to 300 meters. Even the crown boasts a non-slip grip. 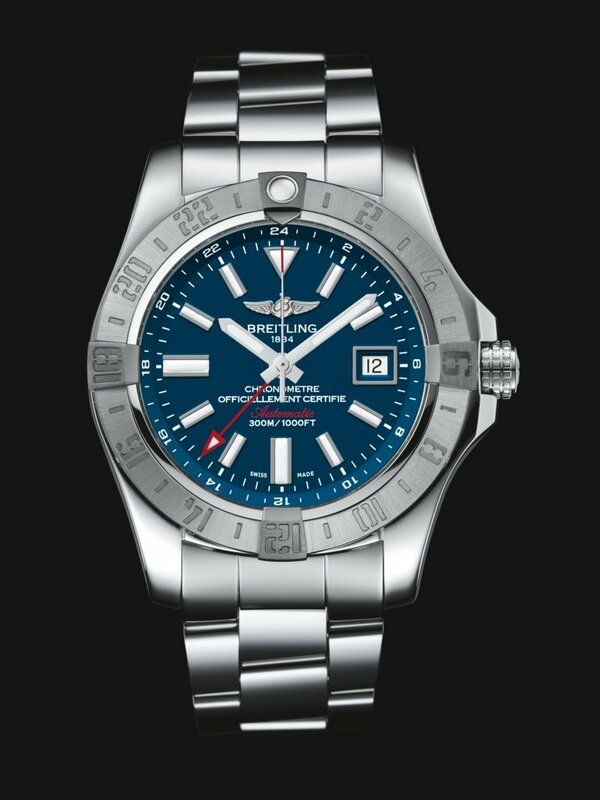 The durable Breitling Avenger II GMT is made to be worn, making it a great watch for collectors who want to enjoy their investment timepieces without having to worry about treating it with kid gloves.